If continuing to pay on your mortgage has become a hardship, as it has for millions of homeowners, you have some choices. You can of course let the property go into foreclosure, or you can apply for a loan modification from your lender that will make your monthly payments fit better in your current budget. 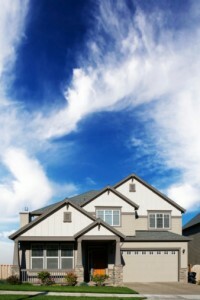 If foreclosure looks like a reality, you should at least try working out a loan modification before letting it happen. The US government has a hardship program for certain homeowners called the Home Affordable Refinance Program, or HARP. The program is designed to allow â€œunderwater homeownersâ€ â€” those who owe more on their mortgages than the house is worth â€” to refinance even with negative equity. Under the program distressed homeowners can have their loans refinanced to lower rates and their payments reduced. HARP is designed for homeowners who have Fannie Mae or Freddie Mac loans, but there are programs for other mortgage types as well. FHA has their own program, but many lenders have one as well. If youâ€™re in a distress situation with your mortgage, you need to contact your lender to see what your options are and if a loan modification under one of these programs can be done. Sometimes that can be done with a phone call, but it often works better with a letter. With a letter, youâ€™ll be better able to explain your circumstances and to provide any necessary documentation to back it up. In many cases, even if you call your lender, they will instruct you to send a letter to open a case. This is often done because the department that handles loan modifications is in a different location. And whether or not you send a letter to open a case youâ€™ll need to send one at some point in the process. By sending it up front, you get the process going quicker. Even if you send documentation with your request, you should be fully prepared to follow up on future requests for even more information. There could be other factors not listed here, but youâ€™ll have to have one or more of these situations playing out in order to have a legitimate hardship. Simply declaring a hardship because youâ€™re underwater on your mortgage isnâ€™t enough by itself. (I/We) have been struggling to make (my/our) house payment for (X months or years) and feel that (I/we) can no longer continue to do so at the current payment level. Though it has been difficult for (me/us) (I/we) truly wish to avoid losing the house in foreclosure. (I/we) wish to procede under any suitable loan modification that is available for someone in (my/our) situation. We were fully qualified to make our house payments when we bought the home, and continued to do so for many years. But since (date of hardship) we have been unable to make our payments (regularly/fully) due to circumstances beyond our control. Documents are enclosed to support both our hardship and our efforts to fix the problem. We truly wish to keep our home and are willing to do what ever it takes to work with you to bring our mortgage up to date and to give us a fighting chance to keep it current in the future. Our current house payment is ($XXXX) but we feel certain we can continue to pay our loan if the monthly payment is reduced to ($XXXX). We will appreciate any assistance you can provide in helping us to make this happen. With your letter youâ€™ll want to include any significant documentation that will support your claim. If you attempted to sell your home unsuccessfully, include a copy of the listing agreement. If you applied for a refinance and were turned down, include a copy of the denial notice. If you lost your job, document the date of separation through unemployment records. If it was a medical issue, provide copies of relevant paperwork. Make sure that you send only copies, never the original documents. You may need them in the future. Also, keep a copy of the letter and copies of specific documents that you sent with it, that way youâ€™ll be able to know exactly what you sent should they call. When you send the letter, be sure to do so either by certified mail or by overnight courier. Itâ€™s not just that you want to be sure that the lender gets the package, but also to minimize the risk that it might fall into the wrong hands. Loan documents and other personal information needs to be safeguarded at all times. After a few days, follow up with a phone call, and be ready to cooperate in any way that you can. Have you had an experience with a loan modification request? Do you have any advice to pass on to others?